According to the Railway Heritage Association (www.heritagerailways.com) the total sum of track distance of heritage railways in the UK is no less than 536 miles! That is longer than the total London Underground system and further than the distance between London and Glasgow. With one exception (that I can think of) this has been done purely through the sheer willpower of armies of dedicated volunteers who are determined that our railway heritage is not only protected but enjoyed by future generations. The total length of the heritage railway network may increase to 560 miles as there are still heritage railways with not only aspirations but also firm plans for expansion. With some exceptions, preserved railways are by their nature fragments of former routes. A link to Network Rail is one way that a preserved line can become much better connected and it is no surprise that a recurring goal of different lines is or has been to reconnect with the mainline. In 2013, the Bluebell Line, the first preserved standard gauge railway in the UK to be reopened finally met that goal and connected at East Grinstead and Network Rail. The line has flourished ever since and progress has been nothing short of incredible. As with any transport network, preserved lines will have a much better future if they are better connected. This evening we look at two examples of two heritage railways/societies connecting to each other, that both make me think of scenes reminiscent of the Golden Spike when the Central Pacific and Union Pacific railroads met in the USA! The Kent and East Sussex Railway is a preserved line that has longed for a connection with Network Rail. The light railway formally connected Headcorn with Robertsbridge (via Tenterden,) both on different parts of the South Eastern and Chatham Railway mainline. Both Robertsbridge and Headcorn remain part of Network Rail. 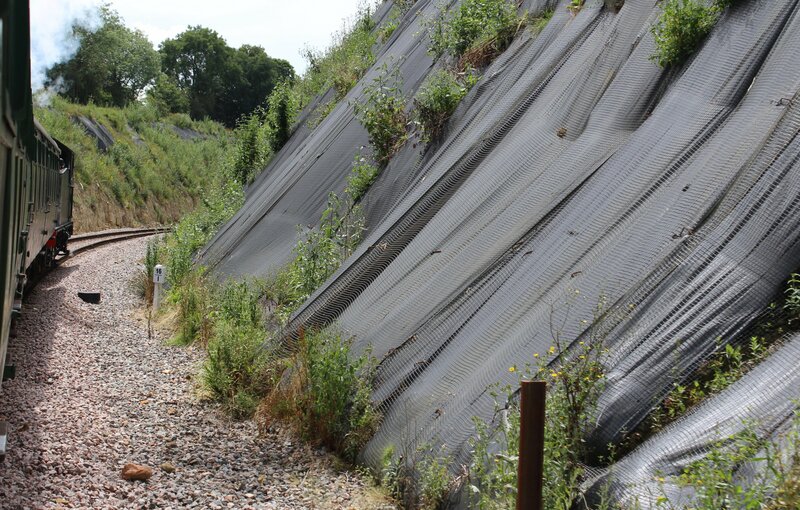 The trackbed north of Tenterden on the K&ESR has been built on in places, blocking almost any likelihood of a northern extension, but a connection with Robertsbridge has always been a possibility. Having grown up in the area I remember the line running from Tenterden to Wittersham Road and wondering if it would be possible for this light railway to achieve bridging that (at the time) large gap. However the railway extended to Northiam after a lot of hard work and a helpful hand from a “Challenge Anneka” episode!. Since then, the line to Bodiam has been reopened and work continues westwards. The interesting thing here is that the Rother Valley Railway (www.rvr.org.uk) has started work at the Robertsbridge end. Construction of the line’s future terminus; Robertsbridge Junction, is in progress as can be seen on the lines blog (rvrailway.blogspot.co.uk.) 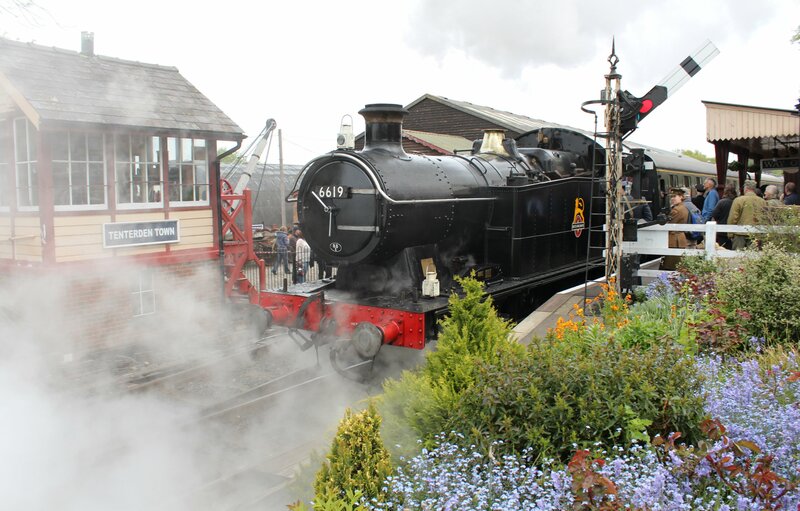 Mr Gardner Crawley, chairman of the Rother Valley Railway trust has announced that the connection between the Rother Valley and Kent and East Sussex lines (and onwards to Network Rail) will be opened in the spring 2018, when two will become one. Whilst two light railway societies work at joining together there is much progress in reuniting two preserved sections of the former Great Central mainline. These sections are the country’s only examples of preserved mainline. The closure of the former Great Central Line was one of the more controversial, but with thanks to the Main Line Preservation Group (that became the Main Line Steam Trust,) a section from Loughborough to Leicester North forms one of the most important preserved lines in the country. Uniquely for a preserved line, part of the Great Central Railway (Loughborough Central to Rothley) is double track, with a single track onwards connection to Leicester North, a total of 8 miles. Meanwhile a different section of the former mainline re-opened; the Great Central Railway Nottingham (www.gcrn.co.uk.) Although it lacks some of the facilities and fleet of steam engines of the GCR, it is a significant ten miles of track. The long term aim has been to reunite both sections by means of a bridge to be built over the Midland mainline. The Great Central Railway have proclaimed that 2015 is the year of the bridge! £750,000 of the required million pounds has been raised so far to build a bridge that will unite the two halves of the line to link Nottingham with Leicester. Details of the planned route can be found at www.gcrailway.co.uk/unify. One easy way to help the project is to order their latest Book-a-zine, details of which can be found here. 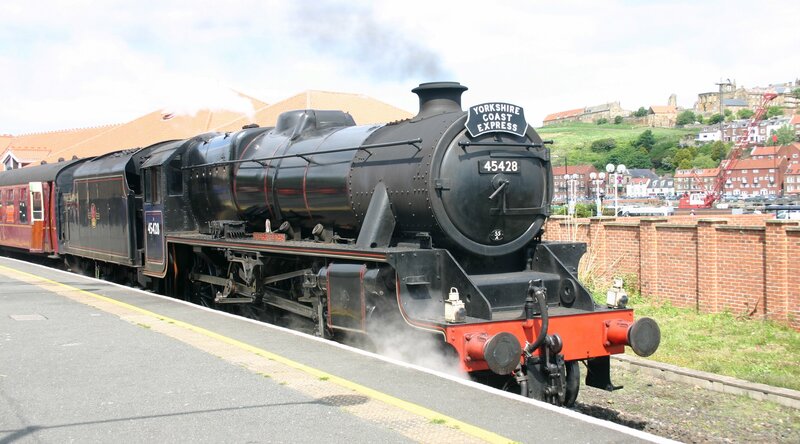 The North Yorkshire Moors Railway’s use of the Grosmont to Whitby section of the Esk Valley Railway is perhaps one of the best examples of a heritage line really benefiting and expanding its operational scope with thanks to onwards connections. Once reconnected, the two sections of the Great Central Railway will possibly see even greater benefit, forming an 18 mile line. 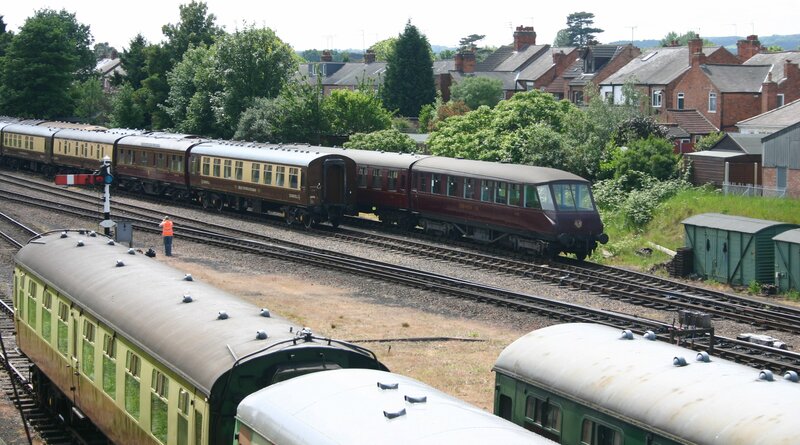 Although the Kent and East Sussex Railway is a light railway, the benefits of a connection to Robertsbridge will be massive. The railway will finally go somewhere to somewhere and be accessible by train. The line is expecting a big increase in traffic, hence it recently becoming home to some powerful GWR locomotives that will be needed for future. 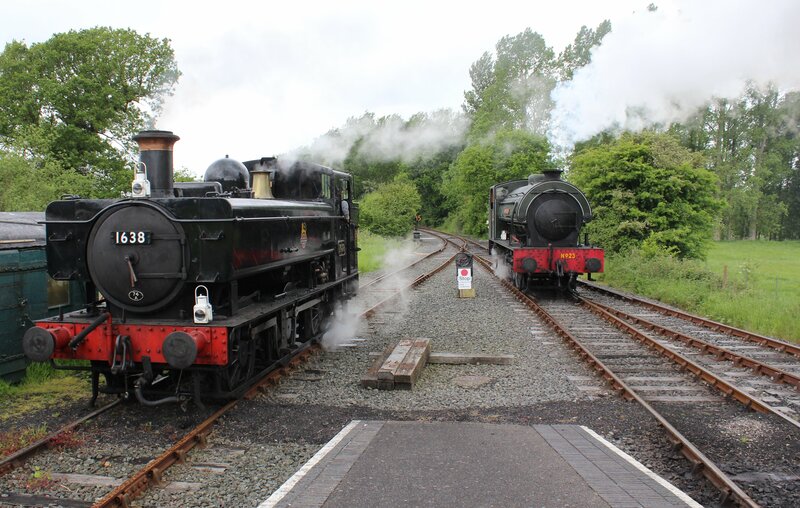 These are just two examples of preserved line expanding, but hopefully they illustrate that the heritage railway movement is both significant and growing from success to success. Hopefully, sources such as this website will help keep this progressive spirit alive! Up here int’ north, we also have the Stainmore Railway Co and the Eden Valley Railway Co. Once sections of a through route between Penrith and Darlington, both lines have long-term plans to re-join and once again allow through running between Kirkby Stephen and Appleby where the line meets the S&C. Potentially there is an opportunity for main line steam passengers to transfer to branch line steam. Imagine a day out like that, possibly combining with a counterpart connection at Keighley further down the S&C? That would be a great day indeed!